At the first company, the authors found that face-to-face interactions were more than three times higher in the old, cubicle-based office than in an open-plan space where employees have clear lines of sight to each other. 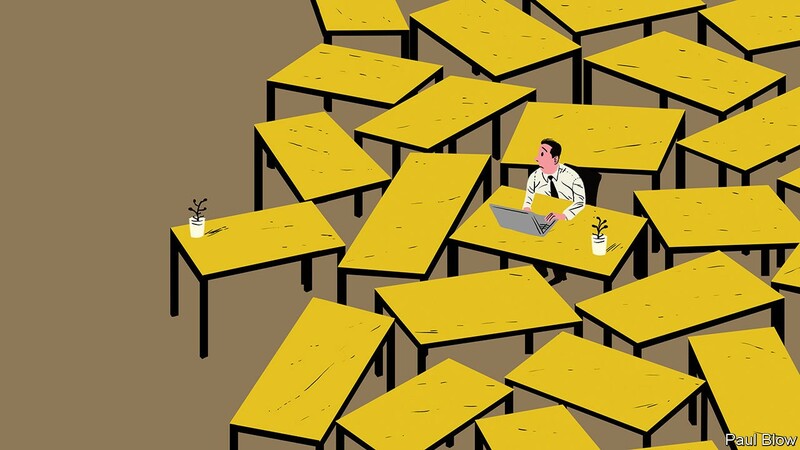 In contrast, the number of e-mails people sent to each other increased by 56% when they switched to open-plan. In the second company, face-to-face interactions decreased by two-thirds after the switch to open-plan, whereas e-mail traffic increased by between 22% and 50%. Correction (August 8th 2018): This article has been changed to reflect that face-to-face interaction decreased by two-thirds, not one-third, in the second company.